From what I can tell, each year at the Consumer Electronic Show has its trends of what’s hot, what’s up and coming, what’s ground breaking. This year, I didn’t see much in the way of groundbreaking electronics. Last year, everything was about apps and accessories for iPads & iPhones. This year, to my delight, seemed to be the year of Microsoft – namely Windows 8. 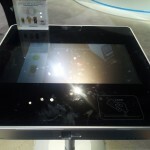 Microsoft actually had NO booth at the show this year, yet they were everywhere in large part because of their push for all of their manufacturers to go the way of 10 point touch screens. 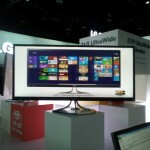 All of the big manufacturers showcased their new displays, some touch, some not. 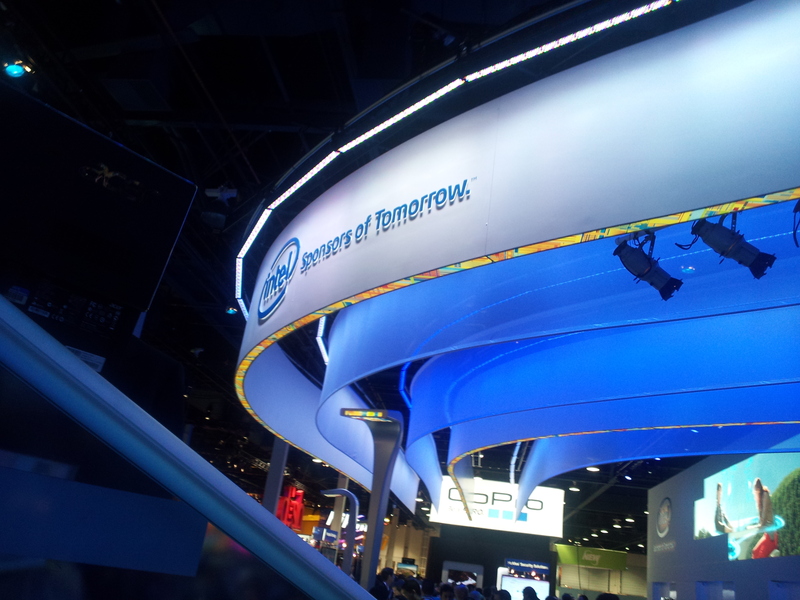 Intel, as always, had a great display. 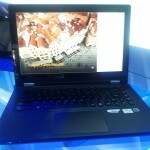 They showcased many of the new Windows 8 ultrabooks they power, including the Lenovo Yoga, which I’ve really wanted to try out since I saw the commercial. 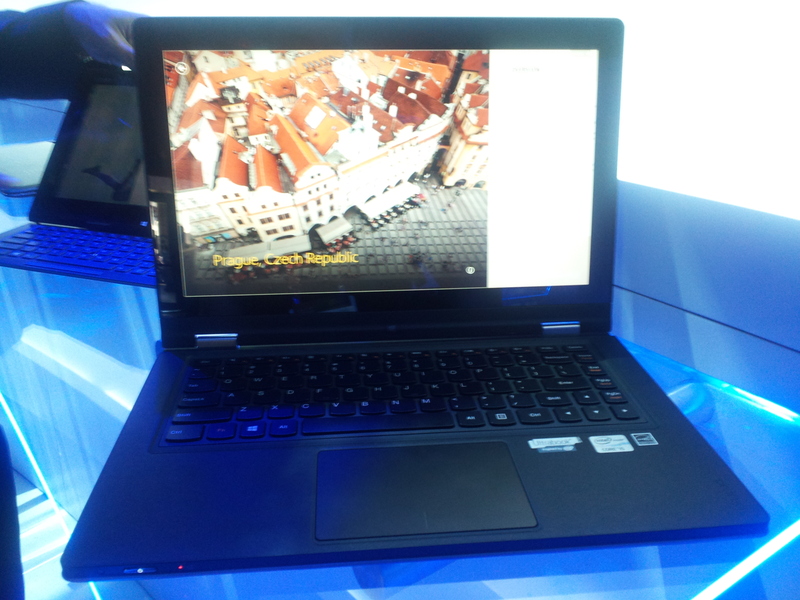 So far as laptop / tablet hybrids go, I liked the feel of the Yoga overall. 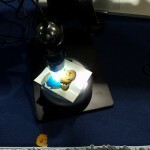 The hinges were solid and performed just like the commercials showed. The computer was fast and the touch screen instantaneously responsive. 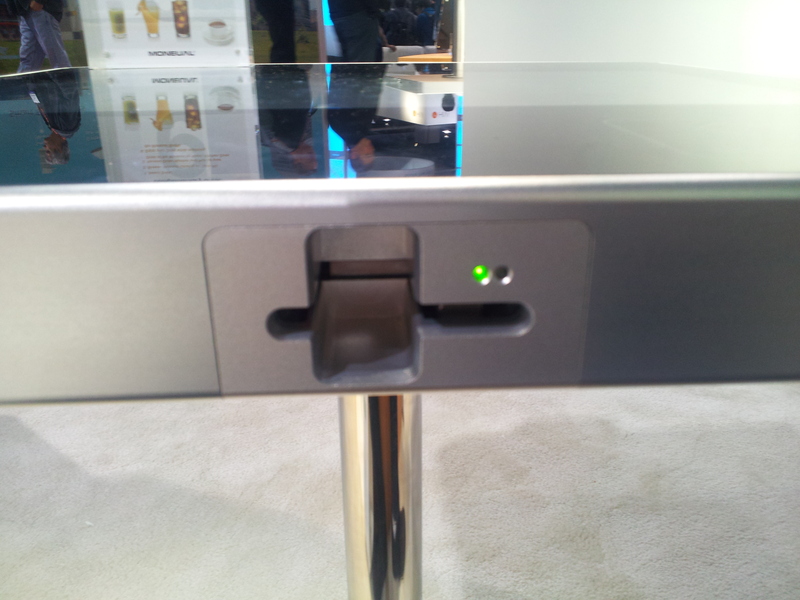 I liked having the ability to use the laptop base as a stand for the touch screen. 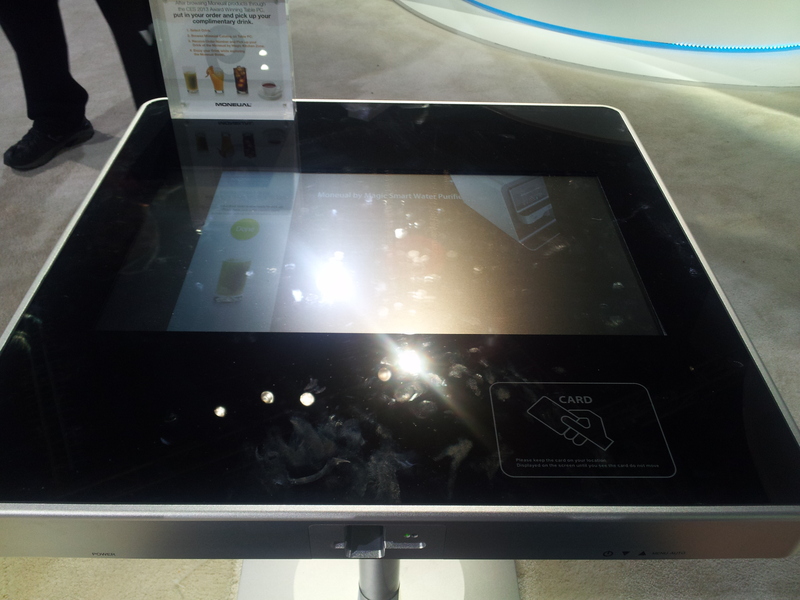 My one concern with the device came when using the Yoga as a tablet and the base was folded all the way back. It is designed to turn the keyboard off when in tablet mode, so you’re not typing random keys behind the screen, but the keys are exposed nonetheless. I can see the possibility of losing your grip on the screen and trying to dig your fingers into the keyboard, ripping off keys. Maybe I’m overly sensitive to this possibility as a dad whose 18 month old ripped the keys off my old laptop. We used the Horizon for its intended purpose: air hockey. 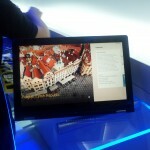 Also at the Intel Booth was the just-announced Lenovo Horizon, a 27 inch all-in-one computer designed to be a very large tablet PC. It sits right on top of a desk or table and has a robust kickstand to support it. 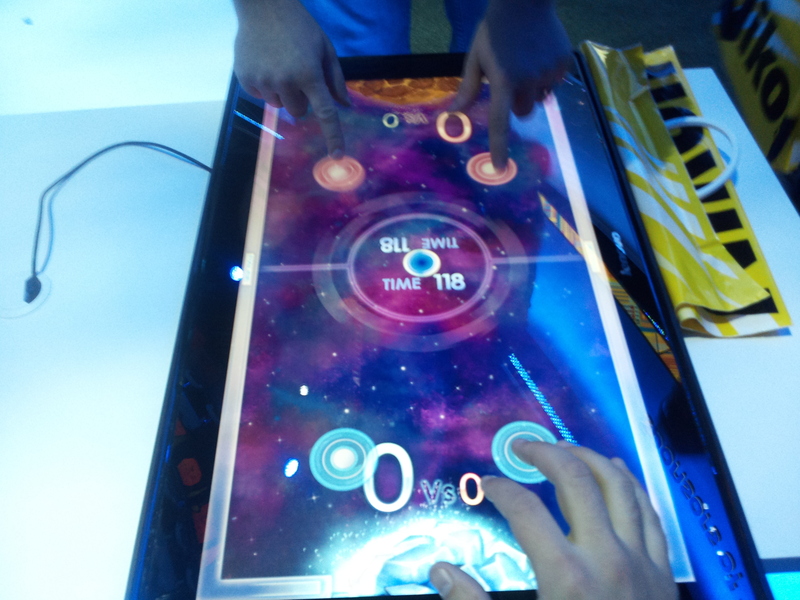 When pushed, the Horizon slowly collapses until it sits flat on the tabletop, giving us the ability to do what anyone would want to do with a 27 inch tablet: play two handed virtual air hockey. The gaming prospects of this device alone were enough to see the value in the design. Anyone interested should also make sure they have a lot of cleaner and microfiber a plenty to clean the screen with. 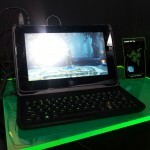 The Razer Edge with the Laptop docking station. 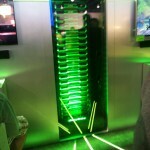 My favorite booth at CES is consistently turning out to be from Razer. Razer develops mid to high end gaming computers and peripherals. Their two flagship products blew me away yet again and left me wishing I had enough disposable income to purchase. 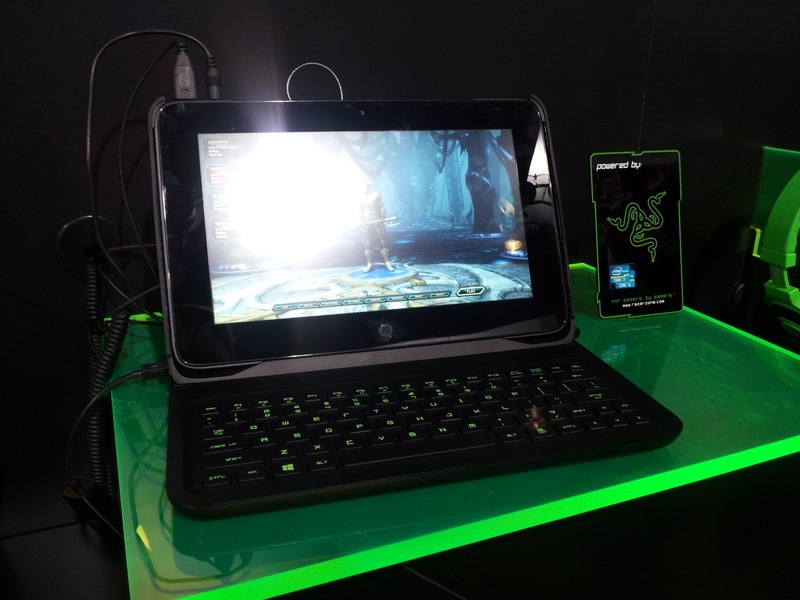 This year, half of their display was devoted to the tablet PC I would buy in a heartbeat if I could justify it: The Razer Edge. Essentially it is a gaming computer fit into the chassis of a tablet. 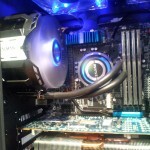 It runs on an Intel i7 with 8GB RAM and runs an NVidia GT640 M video card. My favorite part is the versatility in the docking stations. Whatever your preference, they make one that fits you. 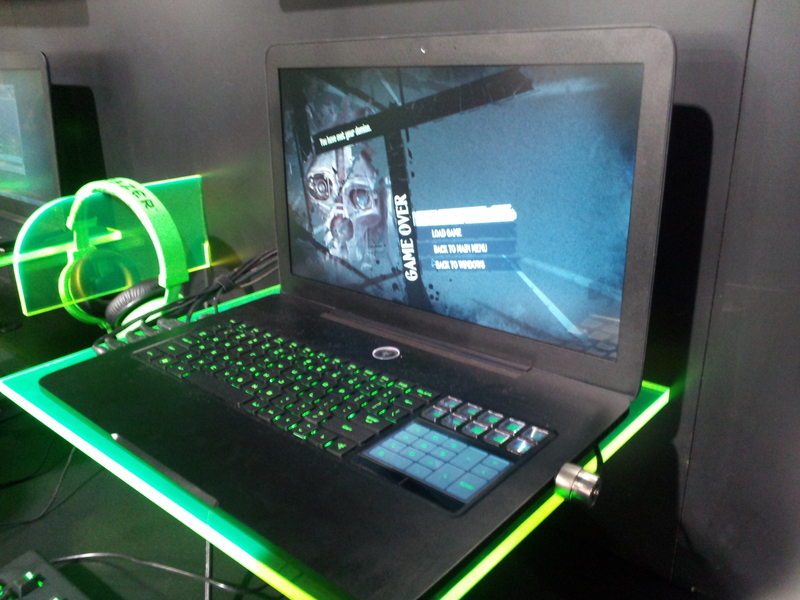 The Razer Blade Gaming Laptop. The Razer Blade laptop has been out for over a year now and I believe it is still the most stylish laptop on the market. It is powerful, portable, and eye catching. 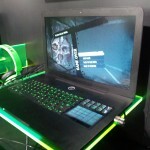 Read more about all of the Razer devices at their website: http://www.razerzone.com. 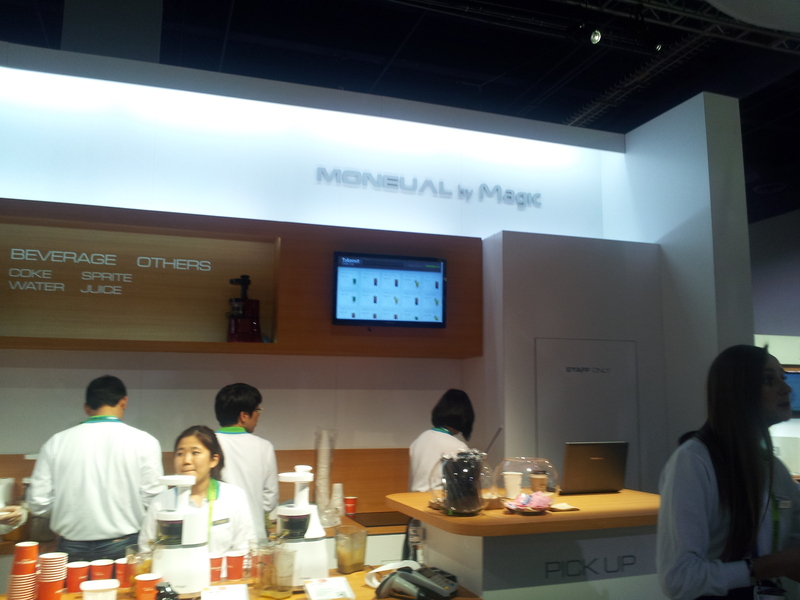 Moneual is a brand that I have heard of before (a sister company of Zalman), but is relatively new to the U.S. 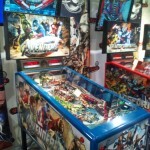 They primarily make displays, but are branching out into the all-in-one market. 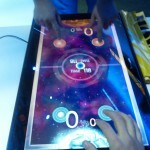 A huge part of their floor display this year was their table-top touch screen. However, this is far more than just a table computer. 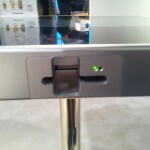 The Cafe Table has a credit card reader for quick payment! Meet the Moneual Cafe Table PC. It is a way for local restaurants and coffee shops to give their customers access to various PC functions right through the top of their table. It integrates a catalog of the restaurant and allows the customer to place an order through the table, then pay through a credit card slot on the side of the table. 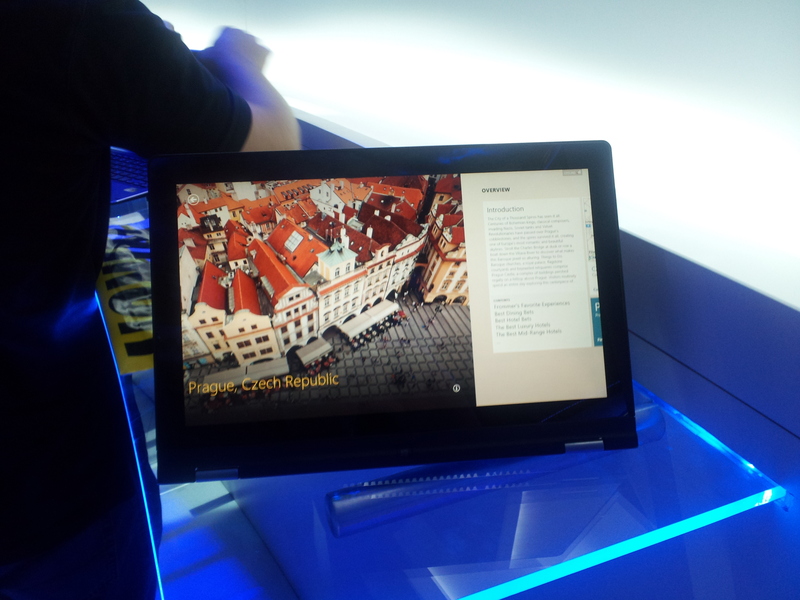 The design is ultra modern and the computer is very fast and responsive. For the demonstration, they actually had me place an order for a drink, which was prepared for me at the coffee/soda bar behind me! I can see a ton of great applications for this product and I believe that this type of ordering system will become more common in the coming years. Well done, Moneual! The Moneual Cafe Table PC. Stylish and innovative. 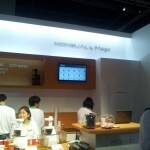 Not only did they demo the product, but they served me the coke I ordered! 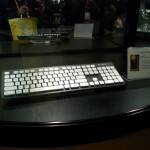 Other notable devices include LG’s 21:9 super wide display, the Zalman closed circuit liquid processor cooler, The NVIDIA cloud gaming server, The Big C digital USB microscope, The Avengers pinball machine, and the Logitech submersible keyboard (wash your keyboard in 11″ of water! ).